With all the changes we've seen in the field of SEO in recent years, we need to think differently about how we pitch our work to others. If we don't, we run the risk of creating unreal expectations and disappointing our clients and companies. 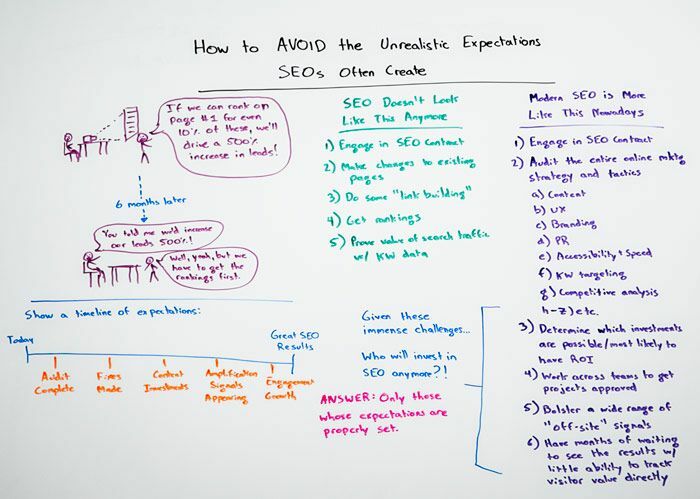 In today's Whiteboard Friday, Rand explains how to set expectations that will lead to excitement without the subsequent let-down.